Talk about the epitome of the PNW at its finest! 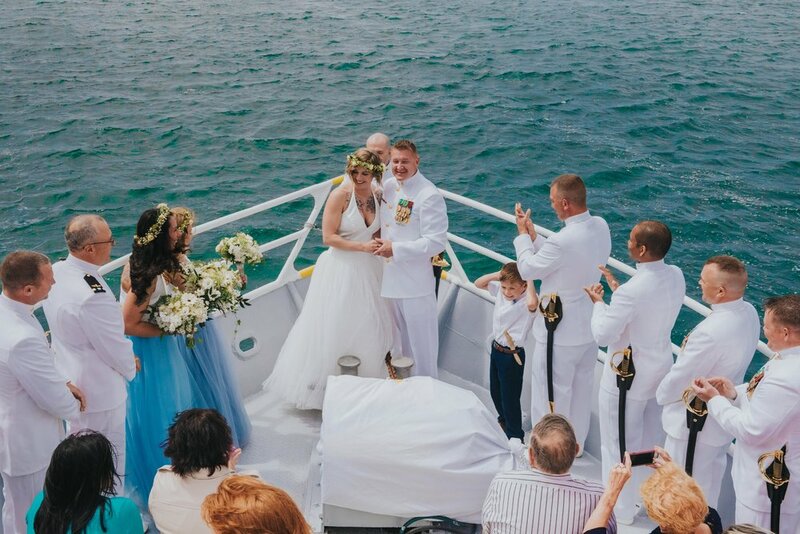 Usually the turquoise waters surrounding our island are in the distant background of photos, but for this maritime wedding, it set the scene for one of the most unique ceremonies I've photographed. 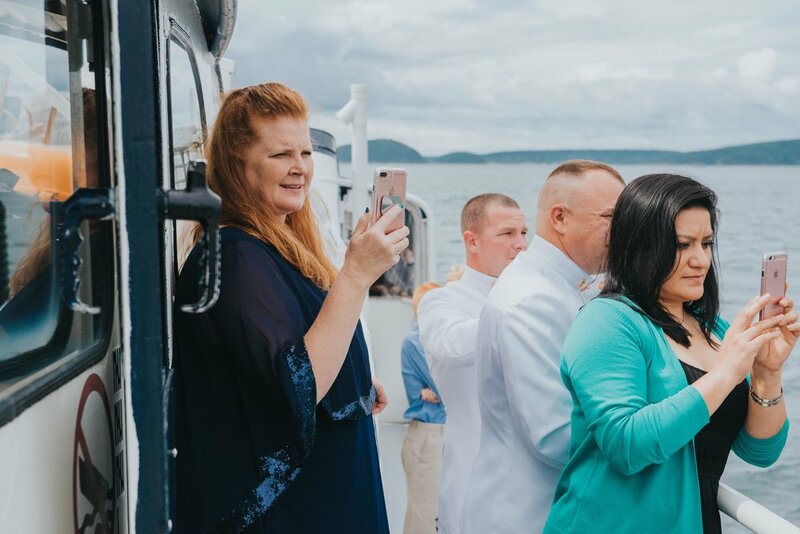 Tiffany and Jon celebrated their I-do's surrounded by their closest family and friends on a whale watching tour boat docked out of Anacortes. 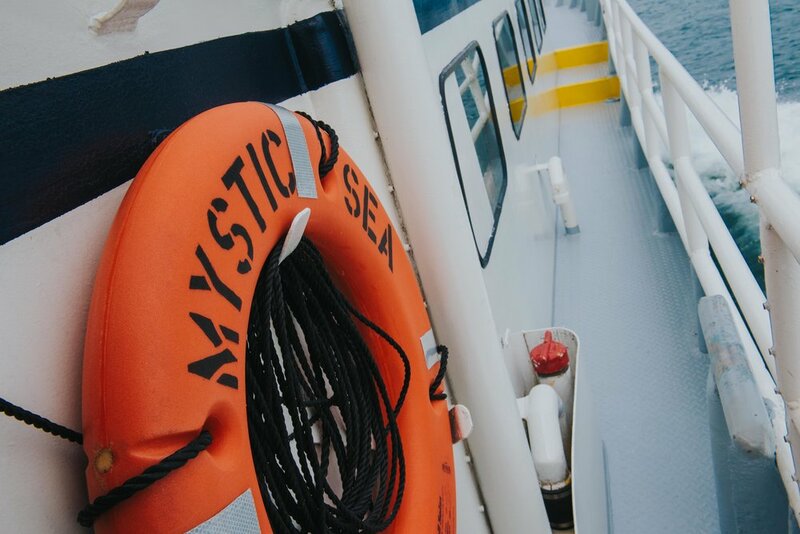 For about 3 hours we cruised the open waters, passing bald eagles and various densely forested islands I didn't even know existed, until we came to a stop to watch an orca pod breaching and tail slapping in the distance and eventually coming right alongside the boat. 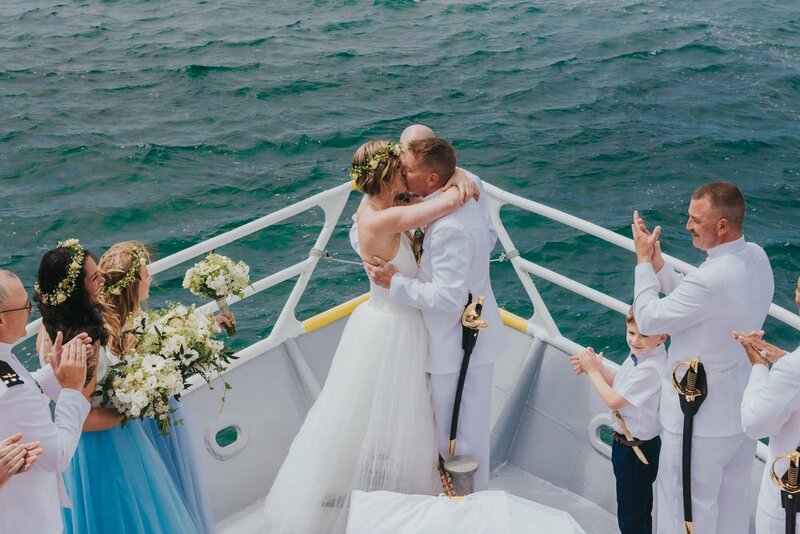 It was an amazing sight to watch them dancing in the water, and I joked with the couple how in all my years photographing weddings, this was the first time I had to split my attention behind the lens between people and wildlife. What started as a dreary morning soon turned into a magnificent day off the San Juan Islands with blue skies, warm sun and the perfect amount of breeze. 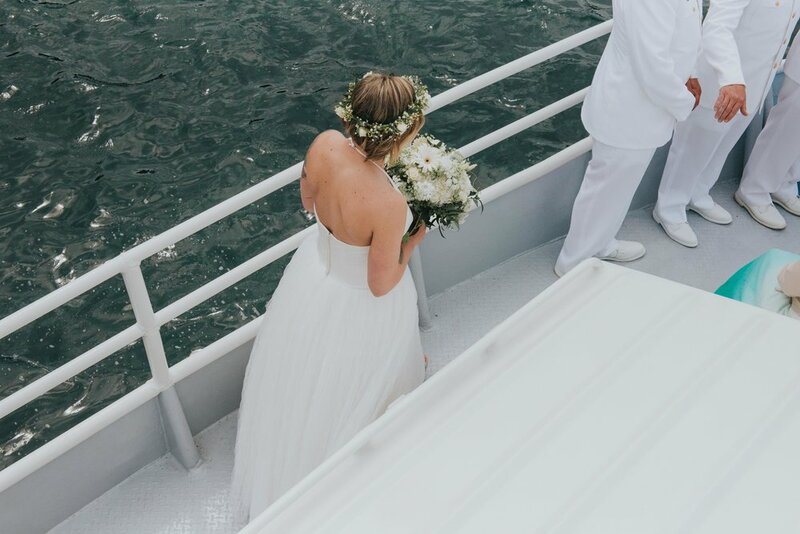 We traveled just off of Cypress Island and to Obstruction Pass, where the couple had an intimate ceremony at the bow of the boat. 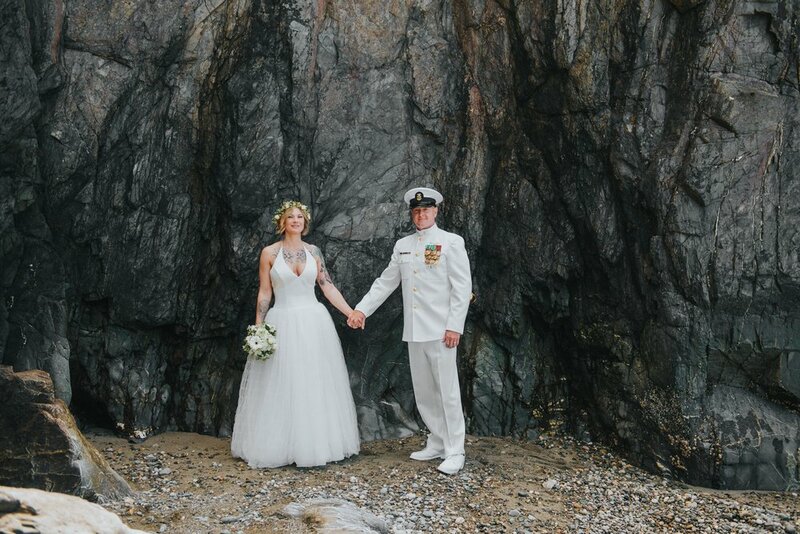 For a wedding of two individuals in the Navy stationed here at NAS Whidbey Island, there couldn't have been a more appropriate (or beautiful) place. 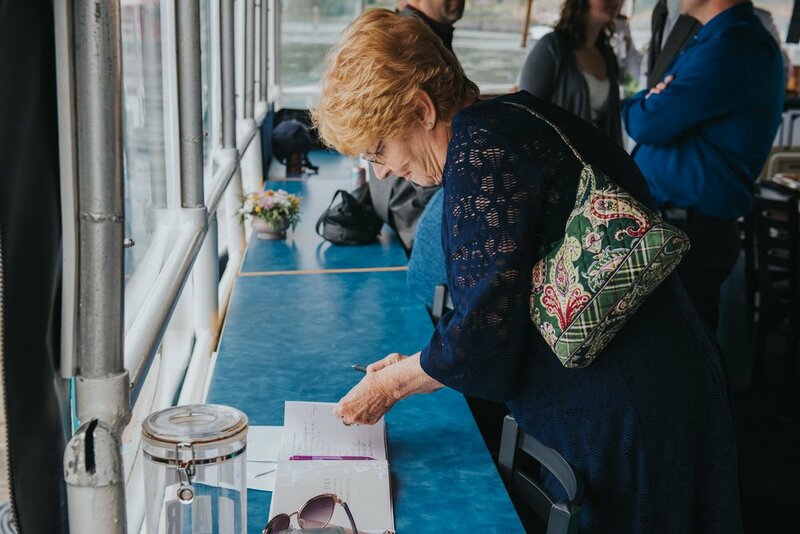 After the two became husband and wife, guests mingled, laughed and dined on the trip back to Anacortes. Once we docked, we headed to Deception Pass to get photos of the couple alone together, and seriously this landscape never gets old. 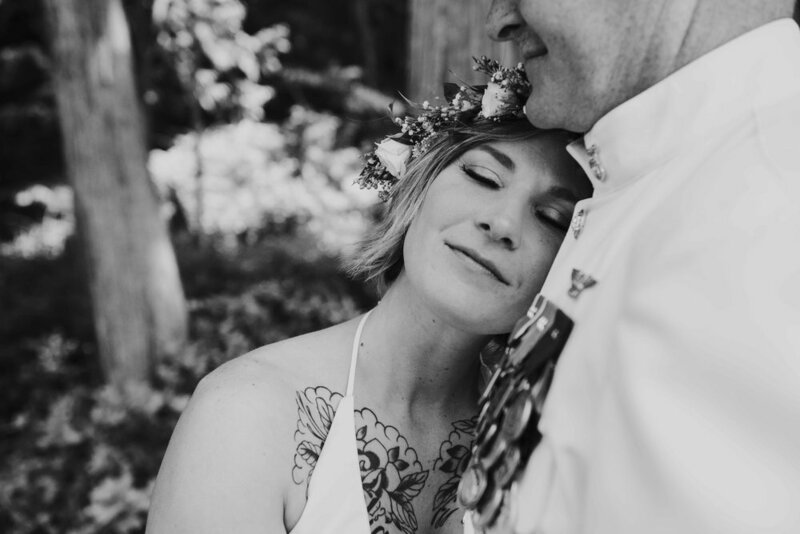 Congratulations again Tiffany and Jon! 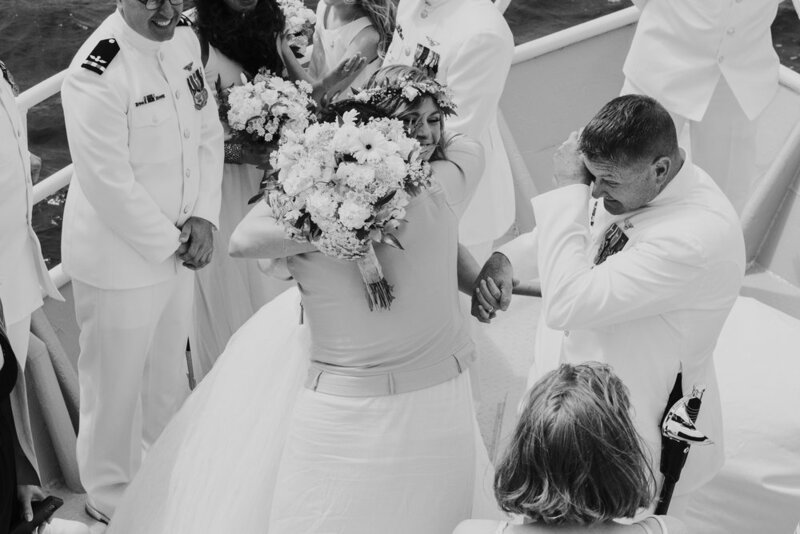 It was an incredible morning, and one that I'm sure all who attended will never forget!